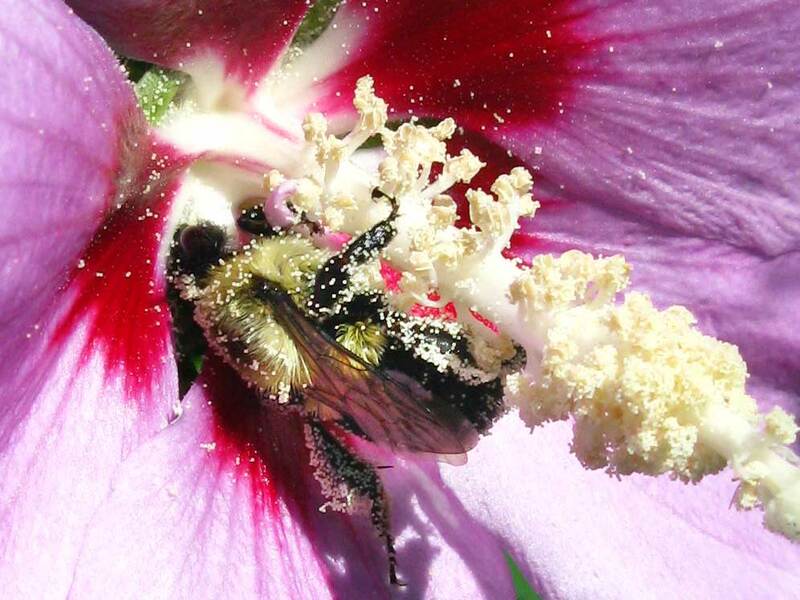 While snapping pictures of our Rose of Sharon bushes, I snapped this dynamic photo of a bumble bee. She was laden with pollen already, and her poking around in the flower caused a spray of pollen speckles. 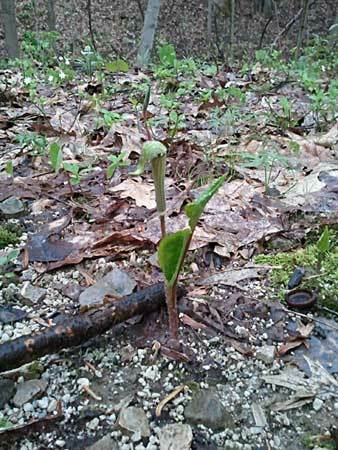 I haven’t seen very many Jack-in-the-Pulpits yet this year, but her are a couple. 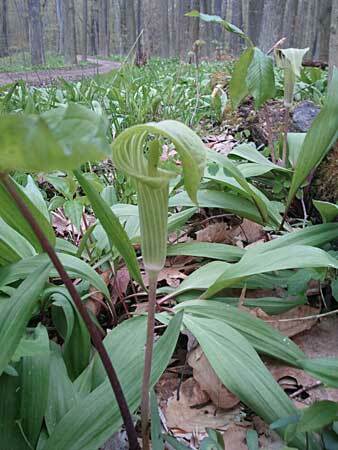 The first one, seen in late April, was on the small side- only about 6 inches high, but beautiful anyway. Now, in the second week of May, there are more! There are two in the picture below. Can you find them both? 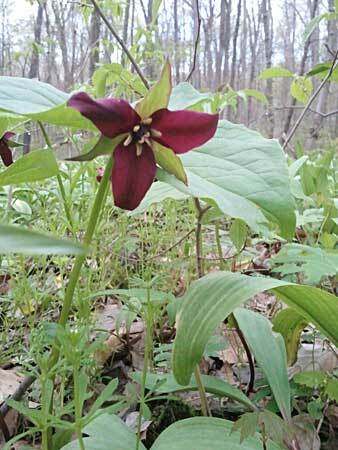 I think that the trillium is one of our more showy wildflowers here in Northeast Ohio. 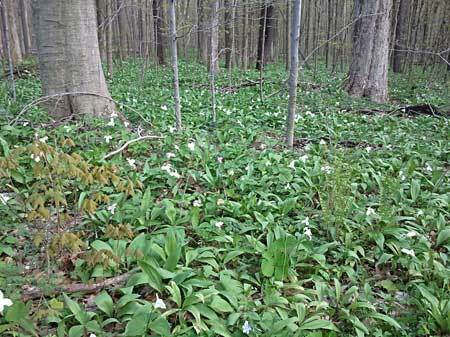 On a recent hike in Hinckley Reservation, there were parts of the trail where there were blooming trillium as far as I could see in the deep woods. There were many different kinds; I am only able to differentiate them by color. White is the most common here. When the white ones are near the end of their blooming time, they turn a pretty pink. There were just a tiny few of some creamy green ones, but my photos just look white, so you will just have to image those. Check out these vivid red ones though! Wow. This isn’t a Photoshop trick. 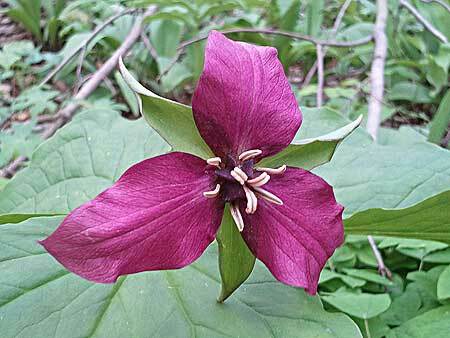 From the Wikipedia, “trillium was treated in the family Trilliaceae or Trillium family, a part of the Liliales or Lily order. The AGP II treats Trilliaceae as a synonym of the family Melanthiaceae.” I’m not sure what that means. Is it a lily or not? 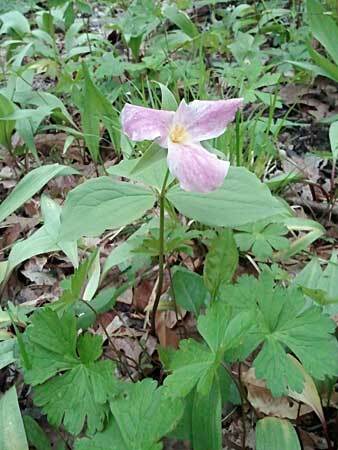 Some interesting fact I saw while researching these plants – ants spread the seeds of trillium. 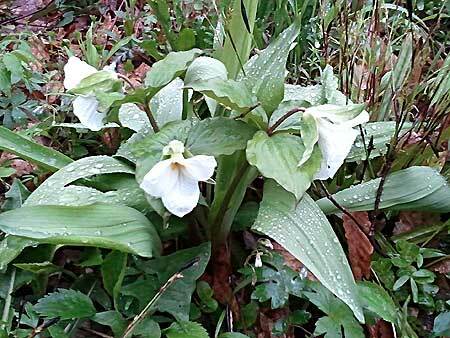 Also – the large white trillium is the official wildflower of Ohio. 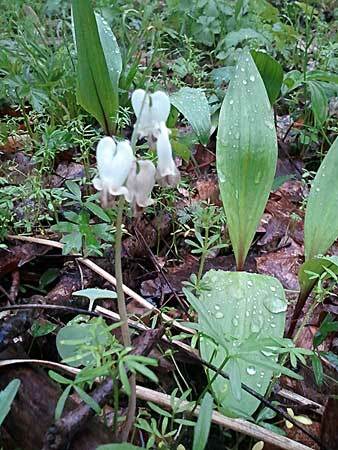 Here are the elusive Squirrel Corn that we found in Hinckley Reservation. The flowers resemble a kernel of corn. 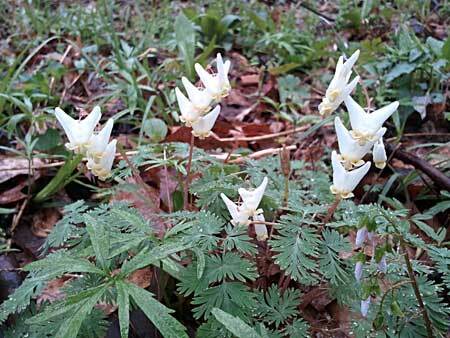 I find these along with the Dutchman’s Breeches; these were in a lowland area in deep woods, by a creek. I love our local plants! 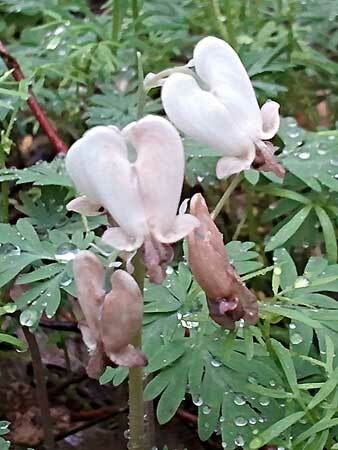 The Dutchman’s Breeches, with a little imagination look like little pairs of pants – upside down with the legs pointing up, but still pants (or breeches). My Grandfather used to say it “britches”… like “hold on to your britches”, ummm, but that is quite the tangent isn’t it? Aren’t they adorable? 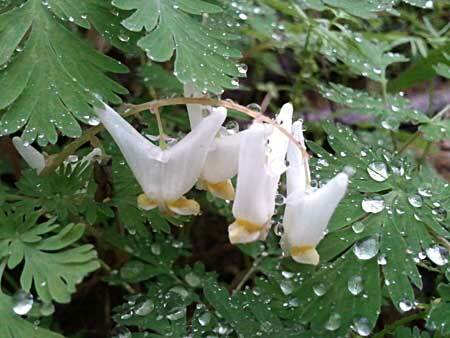 Up next – Squirrel Corn.